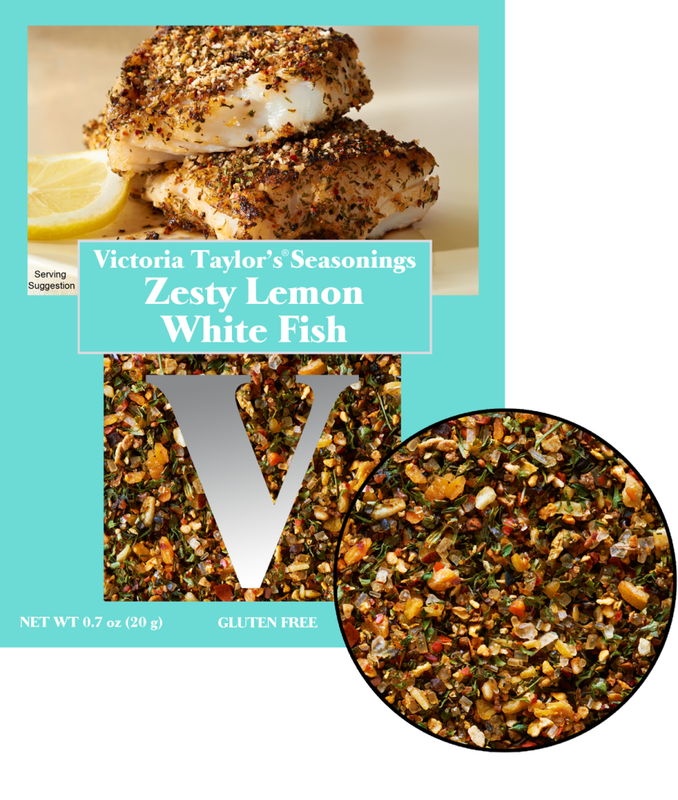 Zesty Lemon White Fish seasoning combines sea salt, onion and garlic, a bit of demerara sugar, black pepper, orange and lemon. Use this seasoning on any white fish and vegetables for an extra zing. This is a one time use packet designed to make the recipe for Zesty Lemon White Fish which is included on the back of the packet. Ingredients: Sea salt, onion and garlic, demerara sugar, mixed spices (including black pepper, dill weed), lemon peel 10%, citric acid, orange peel, paprika, parsley, lemon oil, orange oil.